During a residency at Artscape Gibraltar Point in June 2012. Medwyn McConachy and Barbara Bickel continued the work begun at last summer's residency at the STAG in Vancouver by hosting Nap-ins in their studio. 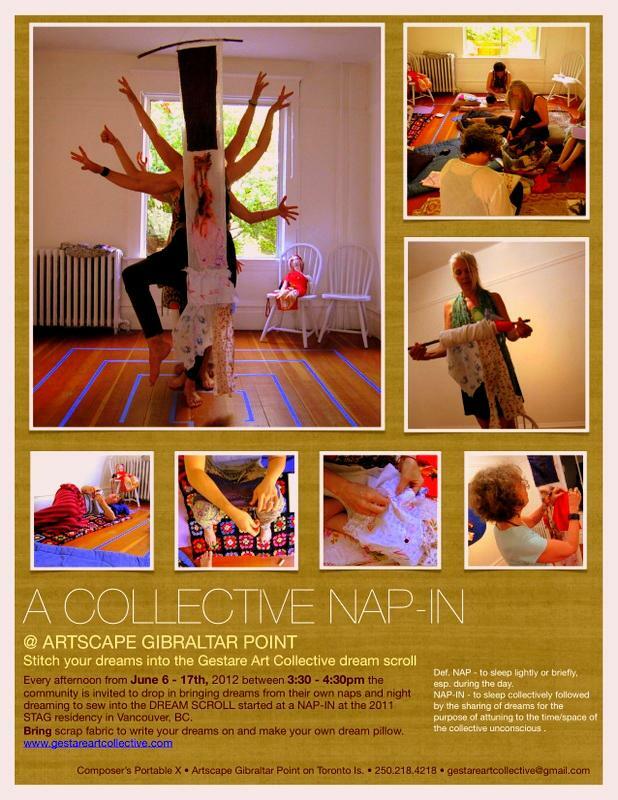 Resident artists and community members were invited each afternoon for a nap and sharing of dreams. 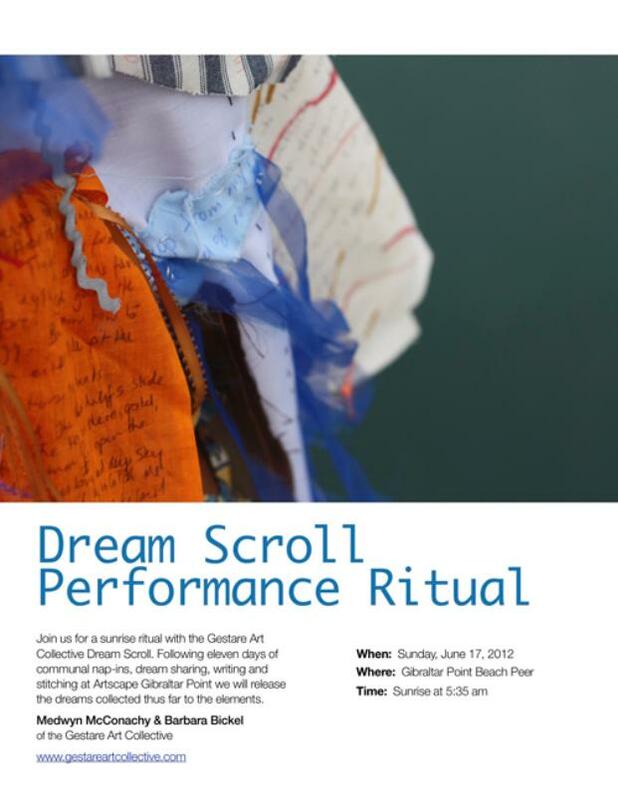 Dreams continue to be added to the dream scroll.